After years of talk and three trips to the alps Tudeski has finally taken shape. 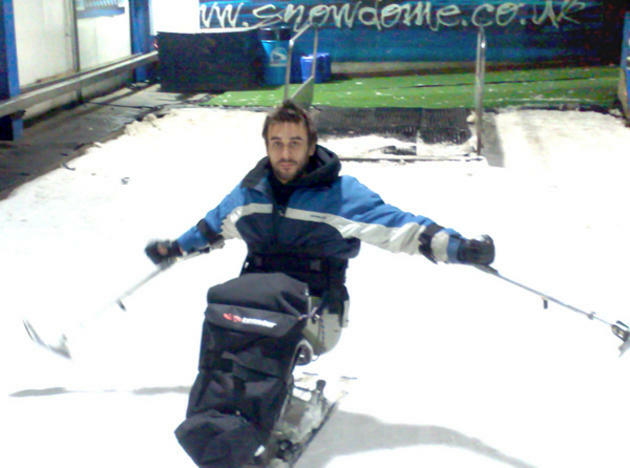 With the help of sponsors we were able to buy an adapted ski chair for Tudur. The chair, built by Pier Tessier is a highly sophisticated piece of engineering that has been refined over 12 years to a point where someone with Tudur's high level of disability - T4 paraplegic - can ski on his own. Tessier are at the cutting edge of adaptive ski equipment and disability snowsports. We are so impressed by this chair that we want to get one that we can use in the UK and inspire other people, with a similar level of disability to Tudur,to do something that they would never have thought possible. 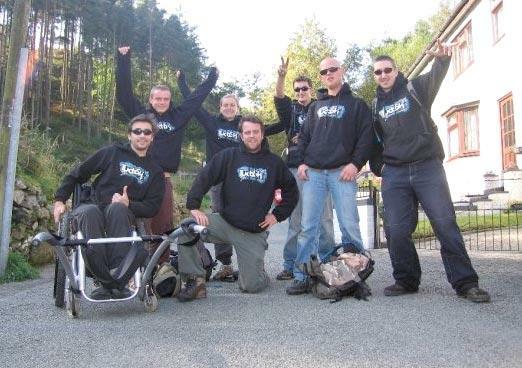 We also aim to share our experience of disabled skiing, though this website, to make it easier for people in a similar position that we were in a few years ago to find information on disabled skiing, adaptive ski equipment and disability snowsports. Team Tudeski just had a great day with the Rough Riderz. Tude has found a new extreme sport that is accessible to him in the UK! No uphill, downhill all the way! We went to Tamworth Snowdome so Tude could have his first go in his own ski chair. It's been 10 months since he last went skiing so were slightly concerned for ayone that might get in his way (or not get out of his way!) There was nothing to worry about however as Tude was in full control on his first run! Limited Edition Skiis Donated by Mr. Jago! A big thankyou to Mr Jago for generously donating these funky skiis to Tudeski. 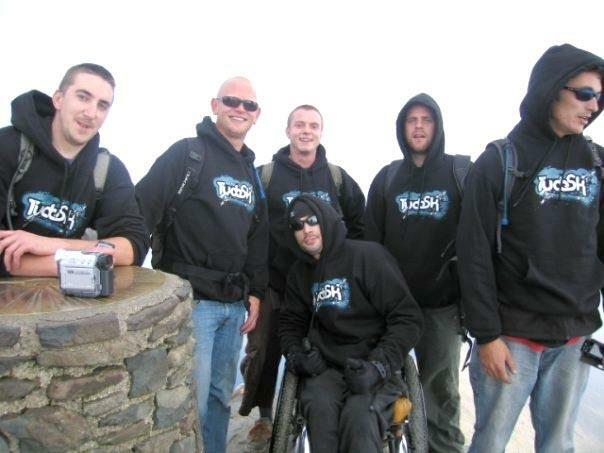 With a team 6 helpers Tudur reached the summit of Snowdon in 4 hours! No record was set but it was a respectable time. The climb down took 3 hours. 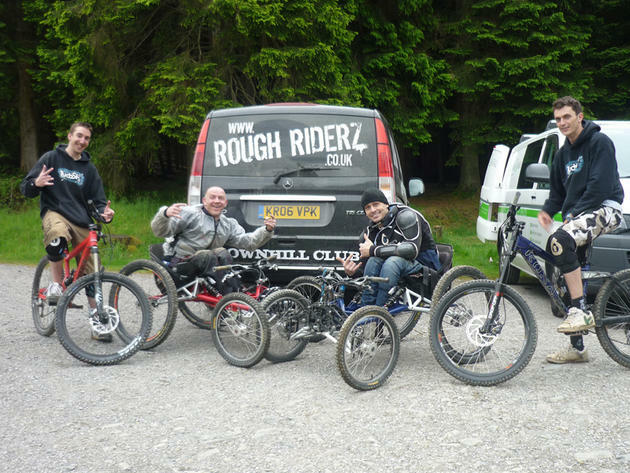 The wheelchair modification by the The Helping Hand Company proved invaluable and made it possible to get Tudur up the steepest sections of the mountain. 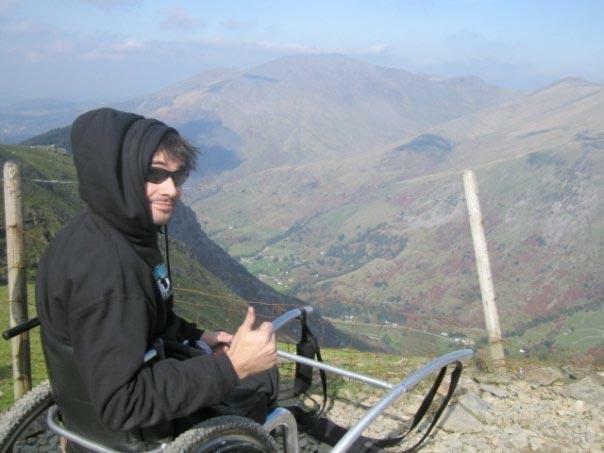 With a few metal tubes and a bit of welding the Helping Hand Co. have come up with a simple and very effective way to adapt Tudur's wheelchair to make it easier to push and pull up Snowdon. Tessier designs, produces and commercialises a wide range of seated skiing equipment.